A review of student Satisfactory Academic Progress toward an eligible degree or certificate is required by federal, state, and institutional rules as one condition for financial aid eligibility. Students who fail the standards are not making satisfactory academic progress and are not eligible for financial aid funding unless the student submits an appeal and the appeal is approved. SAP is reviewed at the end of every payment period. Students must be accepted for admission to Stanislaus State and remain in good standing according to academic standards regarding probation and disqualification which are published in the University Catalog. 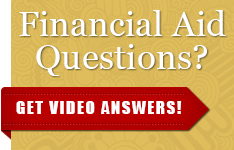 Academic disqualification will result in an automatic cancellation of the financial aid awards. Satisfactory completion of course work means that a student has received a grade of “A”, “B”, “C”, “D” or “CR” in a class. Course grades of “F”, “NC”, “U”, “I”, “SP”, “W”, “RD”, “RP”, or “AU”, will not be counted as satisfactory completion of units in relation to financial aid eligibility. Academic skills courses taken at Stanislaus State will be counted. Students will be funded only for those classes that are in their degree program. For example, undergraduate students will be funded only for classes in their undergraduate program and graduate students will be funded for classes in their graduate program. If an undergraduate student is enrolled in both undergraduate and graduate courses, only the undergraduate courses will count for financial aid. If a graduate student is enrolled in both undergraduate and graduate courses, only the graduate courses will count for financial aid, unless the program allows the student to enroll in UG coursework. This policy has FOUR parts. All four conditions must be met. Students who do not meet SAP cannot receive financial aid until after they submit an appeal and the appeal is approved by the Financial Aid and Scholarship Office. The appeal must include supporting documentation if applicable. If an appeal is not received, the student is required to pay registration fees. Appeals are reviewed by the Financial Aid and Scholarship Office and it reserves the right to deny an appeal. We assess the acceptable passing rate standard as a ratio of all Stanislaus State units earned to all Stanislaus State units attempted. Students must have passed at least 70% of all the units they attempted. Grades of F, I, NC, W, and WU count as units attempted with zero units earned. Students that fail the first time will be placed on warning. If they fail to meet the acceptable passing rate for a second consecutive term, they will be disqualified from receiving financial aid and will need to go through the appeal process. Students that are not meeting pace of progression standards will also be reviewed to determine if they will be able to complete their degree within the acceptable unit limit. Students are required to meet the academic standing consistent with the University’s requirements for graduation. Students disqualified by the University are ineligible for financial aid based on acceptable Grade Point Average standards. Students are not eligible for financial aid until after an official re-admittance to Stanislaus State. Re-admitted students must notify the Financial Aid and Scholarship Office they are no longer in a disqualified status and are officially re-admitted. Students that are re-admitted must follow the appeal process described in the satisfactory academic progress appeal instructions. Students working toward their first undergraduate degree are limited to 180 attempted units (including transfer units) and 150 completed units (including transfer units). Once students reach 130 completed units or 150 attempted units, they will be placed on warning. Per federal regulations, students can only be in warning status for one semester. Students that are not meeting satisfactory academic progress in the following semester will need to submit an appeal with a plan for graduation. Students are expected to complete all their majors and minors within the allotted timeframe. Completing a second major or a minor is not a sufficient reason to not complete their program within the time frame. Students that changed majors may find themselves reaching their unit and time limits. Those students in this situation will need to submit an appeal and their case will be reviewed on a case-by-case basis. Students who earned their first undergraduate degree are limited to 150% of the units it takes to complete their post-baccalaureate program. Once post-baccalaureate students attempt the number of units it takes to complete their program, they will fail SAP and will need to go through the SAP appeal process. Students with an academic history showing patterns of enrollment of inability or unwillingness to progress, such as numerous Satisfactory Academic Progress appeals, withdrawals, repeats, incompletes, or enrollment inconsistent with the student's educational objective, may be regarded as ineligible for future financial aid. Units for which students withdraw (official or unofficial) are subject to all the provisions of this policy. Students who exceed the university limit of 24 CR/NC units while in a degree, credential, or certificate granting program are subject to review of continued eligibility. Transfer units that are accepted towards the student’s educational program will count as both attempted and completed units when calculating GPA and Pace Standards for SAP. Students who completed all undergraduate or post-baccalaureate degree course requirements, but do not graduate (for any reason) are not eligible for funding. Reasons not acceptable for further funding include, but are not limited to: Raising GPA to meet graduation requirement, needing to pass the Writing Proficiency Exam, wanting to complete a minor or a second major (double majors). Students completing zero units in any term are not meeting reasonable academic progress standards and may be disqualified from receiving aid the following term. Aid received in the previous term may be subject to repayment. Academic progress can be reevaluated at any time throughout the year, as identified by a member of the Financial Aid and Scholarship Office staff. A student disqualified from financial aid due to unsatisfactory academic progress may be reinstated after re-establishing satisfactory academic progress. It will be the student’s responsibility to present documentation of completed units to the Financial Aid and Scholarship Office with a written request for reinstatement. Any award of financial aid following reinstatement will be subject to the availability of funds. No funds will be reserved for disqualified students. The first term that a student fails to meet the pace of progression standards they will be placed in the warning status. Students with a warning status will be able to receive financial aid. Students must meet SAP standards by the end of that term in order to continue receiving financial aid. Students that do not meet SAP standards by the end of the term, may file an SAP appeal for the following term. Students that are place on academic probation will be placed on a warning status. Students with a warning status will be able to receive financial aid. Students must meet SAP standards by the end of that term in order to continue receiving financial aid. Students that are placed on academic probation for a second, consecutive term will fail Satisfactory Academic Progress standards and will need to appeal their status. Undergraduate students that have attempted over 150 units, but have not yet met their 180 unit limit will be placed on a warning status. Undergraduate students that have completed 130 units and less than 150 units will be placed on a warning status. Students with a warning status will be able to receive financial aid. Students that are registered in the same course twice or more and have completed the course with a passing grade of A, B, C, D, or CR at least one time, will not be funded. Federal Regulations does not allow students to be funded for multiple repeated courses. In some cases, a course can be considered repeatable, if instruction is different from the previously taken or required for the program. Undergraduate students that are pre-nursing or undeclared will be in a warning status between 60 and 69.9 units. If a pre-nursing student or undeclared major student hits 70 units, they will fail SAP and must be admitted into the nursing program or declare a major before an SAP Appeal is reviewed. At advisor discretion, if student is meeting all other SAP requirements, the student doesn’t need to appeal. They can just declare a major and it must reflect in PS. Once this happens, they can be funded. Students that declare a major, must take courses in that major in order to be funded. Students who are disqualified due to unsatisfactory academic progress or exhaustion of maximum unit eligibility will be notified in writing (by email) of their disqualification. Exceptions may be requested on a case-by-case basis when a student feels there are mitigating circumstances beyond his/her control which warrant special consideration. A student cannot use the same reason for multiple appeals. A student will be required to submit, as part of the appeal, information regarding why the student failed to make SAP, and what has changed in the student's situation that would allow the student to demonstrate satisfactory academic progress at the next evaluation. If the appeal is approved, the student will be placed on probation or will need to follow an Academic Plan. All of the following documents must be returned to the Financial Aid and Scholarship Office. Incomplete packets will be denied. The serious and compelling circumstances that occurred during any semester in which you did not meet the standards for Satisfactory Academic progress, including prior years. What your responsibility for these events has been. How your circumstances have changed so your failure of the situation will not occur again. The steps you have taken to ensure you will make Satisfactory Academic Progress in the future. Demonstrated academic achievement following the resolution of the circumstances. Written documentation or evidence that supports the reason(s) given in your statement. This might include a letter from your doctor, court documents, death certificates or copies of University documents such as approved requests for incompletes or withdrawals accompanied by posted grade changes on transcripts, etc. Financial hardship must be documented by bank statements, layoff notices, foreclosure notices, court documents, or other relevant legal documents. Please attach photocopies. Original documents will not be returned. Please be advised that the disclosure of discrimination, harassment, sexual misconduct, domestic or dating violence, stalking, or abuse of a minor will be referred to the appropriate campus or legal authorities. Your statement will remain private to the extent possible but subject to disclosure by the financial aid & scholarship office as required by applicable executive orders and federal and state laws. Students that have their SAP appeal approved will be placed on probation for the following term. Students have only one term to improve their academic performance. Financial aid will not be extended past a student’s probationary term if they are not meeting SAP at the end of the term. Students that are being funded for one last term will have their SAP approved under a probation status. All academic plans must be monitored up to a specific point in time and the plan must include the student completing the program within 150%. If the student won’t be able to complete within the timeframe, then completion standards must be written into the standards. The student’s progression will be monitored every term. If the student fails to meet the standards set up in the plan, the student will no longer be eligible for financial aid until the student re-establishes eligibility on their own. Once we run SAP, students will be notified of their status via their CSUSTAN Portal and their CSUSTAN email. Students will also be notified of the appeal process and how they may re-establish their eligibility. If a student appeals and the appeal is denied, the student will need to re-establish their eligibility. Each student situation is different, so each student will be evaluated on a case-by-case basis. Generally, a student will re-establish eligibility once they are meeting the University’s Satisfactory Academic Progress policy for financial aid purposes. The student will be eligible for financial aid once they are meeting GPA and pace of progression standards.